Marketers know that banners make branding easy – vibrant graphics mounted on rock solid hardware allow you to tie spaces together with a consistent look. 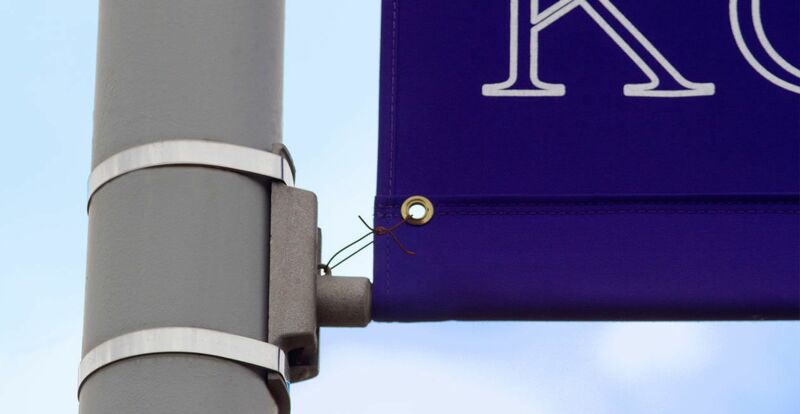 At Bannerflex we understand that when working on a streetscape, campus, or retail location you may need to attach banners to a variety of surfaces. 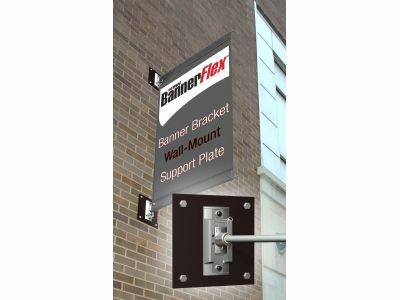 Luckily, Bannerflex hardware sets the industry standard for quality and flexibility. You may already know that our exterior light pole brackets are designed to withstand winds up to 100 miles per hour, and come with a 10-year warranty – but did you also know that they have been designed to be attached to just about anything? Our hardware can be mounted to round or square exterior light posts, flat surfaces such as the side of a building, even mounted to the ground at your retail location. That flexibility allows you to draw together spaces with fluid branding. Whatever your message, our hardware allows you to create flow between spaces. Although your surfaces may vary, installation is easier when you purchase your hardware from a single source. Not only does consistency in hardware decrease the learning curve for installation and the number of tools needed; it also increases efficiency when your crew is installing the hardware, or changing out banners. Our years as pioneers in the industry have reinforced our belief in making our products flexible enough to be mounted anywhere, and durable enough to keep maintenance headaches to a minimum. We build products we’d want to buy – products built to go anywhere and hold up against the natural environment. We make them anti-corrosive and wind resistant so that they can withstand the weather. And our years of listening to our customers has helped us develop a line of banner mounting hardware that is great in any situation. Check out our Guided Purchasing Link to get your project started today.